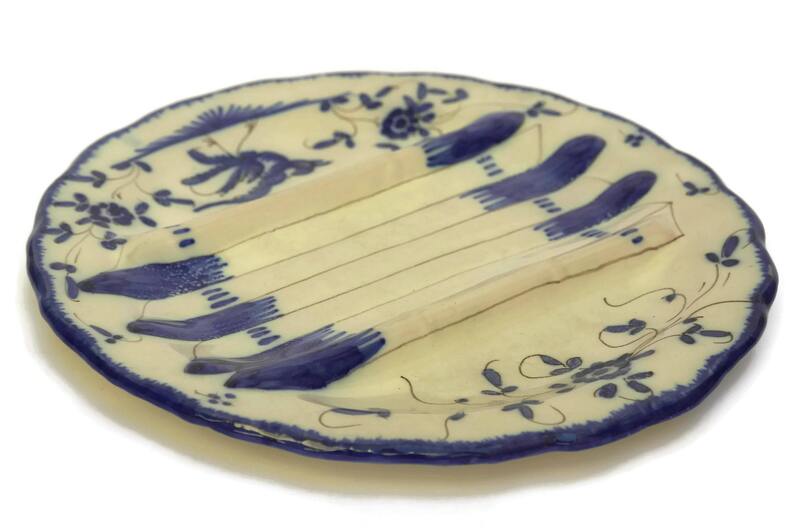 French Faience Blue and White Asparagus Plate by Martres Tolosane. French Country Kitchen Wall Art Plate. 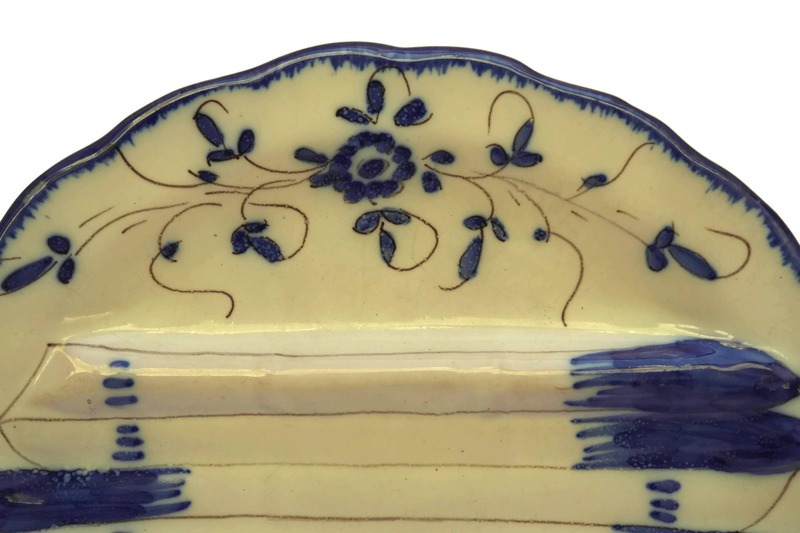 A beautiful French faience asparagus plate created by the Matet ateliers of Martres-Tolosane. 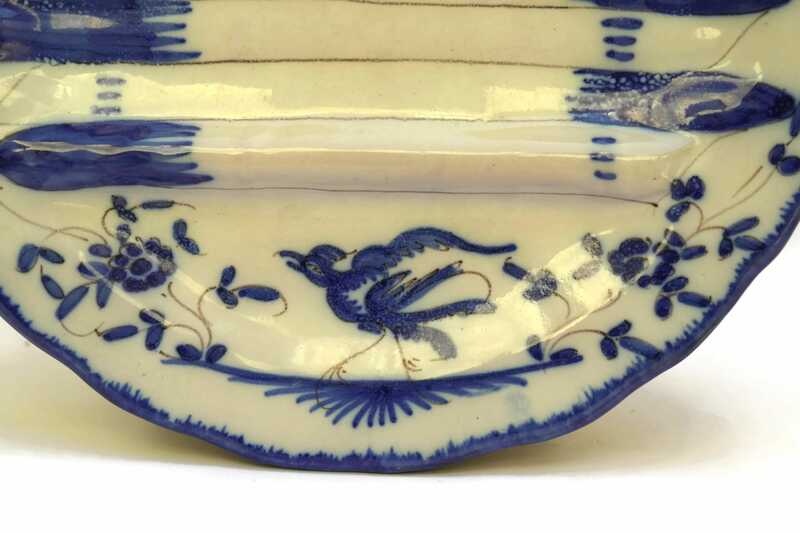 The plate has been richly glazed in white and decorated with a hand-painted traditional design of blue flowers and a bird. The center of the plate has two raised asparagus and the edge has a delicately scalloped border. The underside of the plate has been hand signed with the Martres-Tolosane maker's mark. 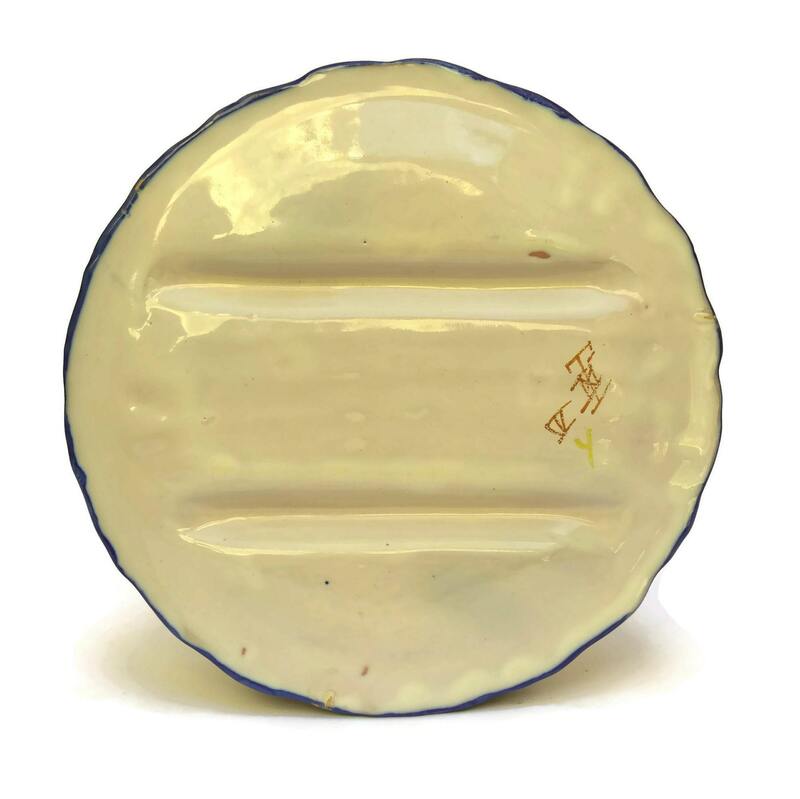 The faience plate is in very good condition with light wear. 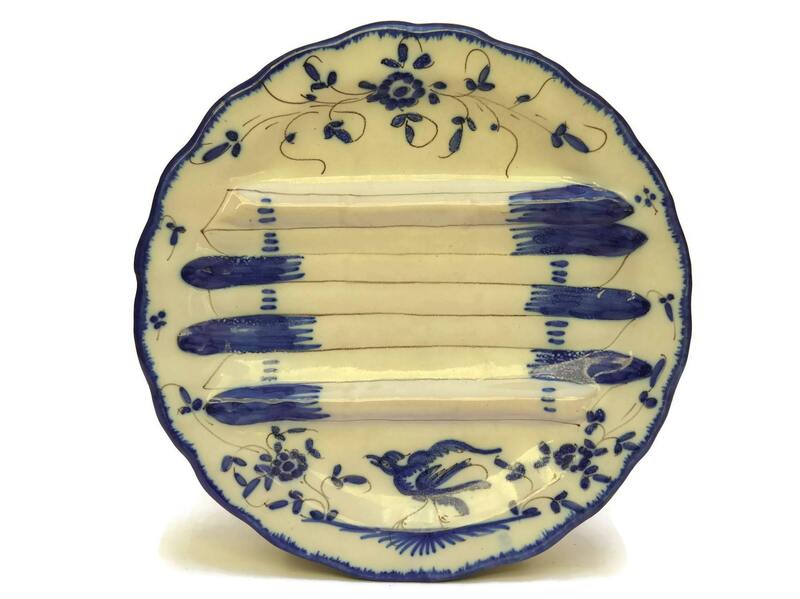 Item ref: French Faience Blue and White Asparagus Plate by Martres Tolosane. French Country Kitchen Wall Art Plate.